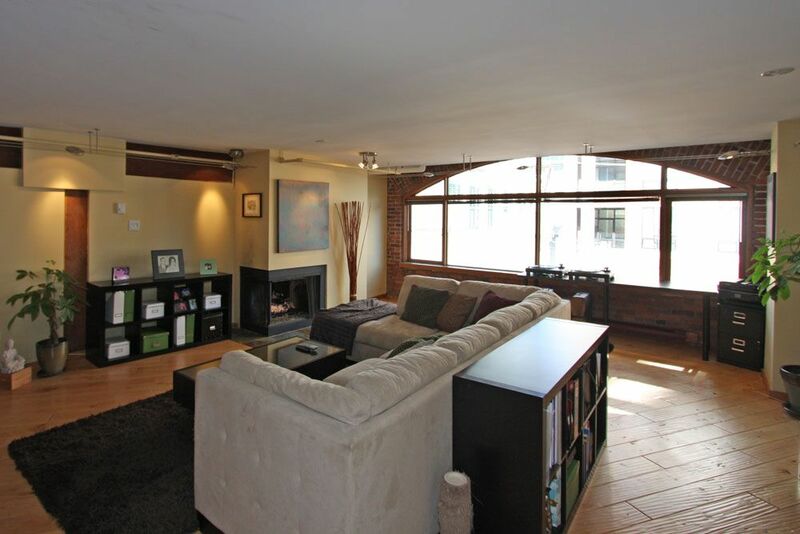 Beautifully renoved single level NYC style LOFT @ 550 Beatty. One of the 1st heritage Loft Buildings to be converted in the city and located in the vibrant Crosstown hood. This unit has everything from traditional Brick and Stick to gorgeous halfmoon original windows and a fantastic open renovated kitchen, dining and LR area. Bedroom is tucked around the side for privacy. Entire kitchen has been renovated from the appl w/ a wine fridge added to the island and cabinets. The building is one of the most character driven in the city and comes with a workshop & lge shared roofdeck for BBQ & entertain; Located mere steps from the Skytrain, Chambar, Wildrice, Nestor Market, Costco and T&T market. Unit includes 1 secure parking and strge.